Boy from southern Israel dies after being left in car trunk for hours as temperatures neared 100 degrees (38 C). A six-year-old boy from the Bedouin community in southern Israel died Thursday after he was left in a car for hours in the summer heat. The child was found in the trunk of his family's car near the town of Nevatim, just east of Beer Sheva in the Negev, just after 6:30 p.m. He had apparently climbed into the trunk of the car after his parents forgot to close it. When the trunk was later closed, the boy was left trapped inside for hours, as temperatures in the area reached 100 degrees (38 C). According to the Centers for Disease Control and Prevention, at 100 degrees outside, the temperature in a car left in direct sunlight for an extended period of time can potentially reach as high as 172 (78 C). 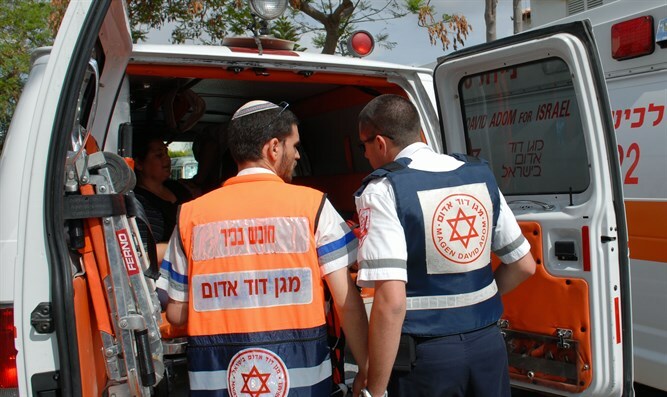 Relatives who discovered the boy trapped in the car alerted MDA which dispatched a team of emergency medical responders to the Nevatim junction, where the boy received first aid before being evacuated to Soroka Medical Center in Beer Sheva. The child was listed in critical condition before being declared dead. Senior MDA medic Yasser Abu Rajilla said the child was unconscious and had no vital signs by the time he was brought to the MDA center.